Friday evening and all day Saturday, I took part in the local Quilt of Valor Sew-in. 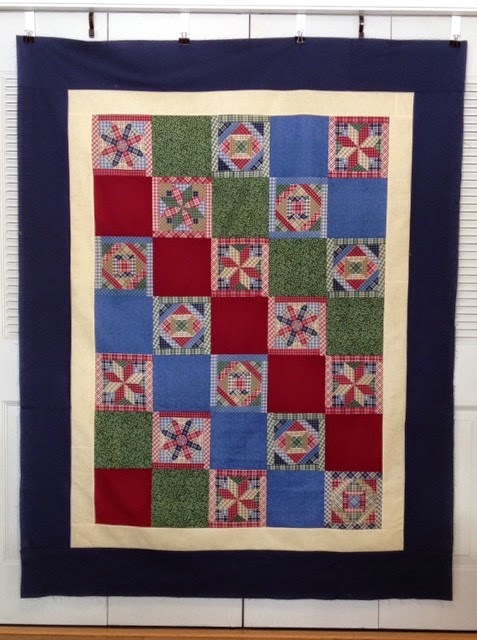 In preparation for the weekend, I decided to use my overflowing 2 1/2 inch scraps to make four-patches and then opted to combine the four-patch blocks with some half-square triangles (HSTs) to create Jacob's Ladder blocks for Quilt of Valor #61. Prior to the sew-in, I prepared the three sections that made up each block, and Friday evening, I worked on sewing the three sections together and giving the blocks a good press. The light on my sewing machine burned out on Friday evening, so without the portable Ott light, it would have been difficult to see what I was doing. My machine is over 10 years old, so I guess it was about time for the light to burn out. Note the quilt on the floor in the upper right of the photo. The young woman who was making it had not prior sewing experience before Saturday morning. 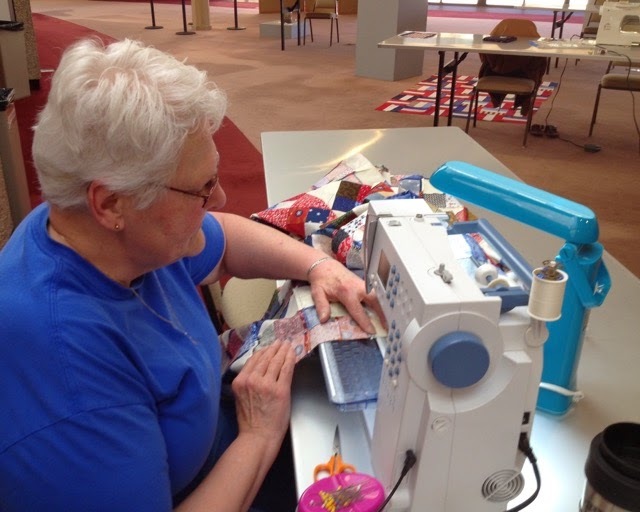 She had the sewing machine humming after one of the coordinators gave her some instruction. Saturday morning, the layout of the blocks was determined, and I began assembling the rows and finally the quilt top itself. 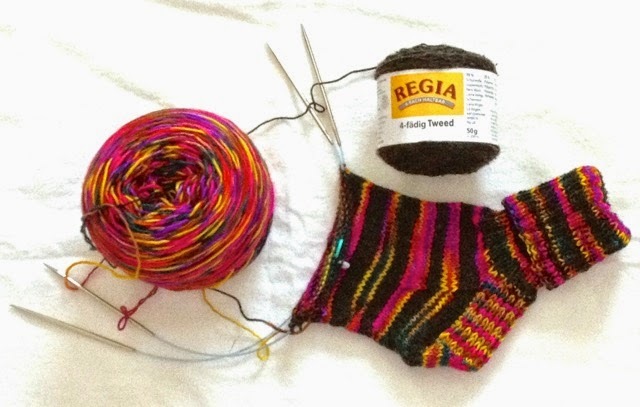 Two years ago, I wrote a review on the addi Turbo Sock Rockets needles, and you may remember that my biggest complaint was the length of the needle - 24 inches was the shortest needle available. I am happy to report that addi must have listened to its sock knitting customers, because they now offer Turbo Sock Rockets in a 16 inch length. My needles were purchased from Webs a couple of months ago, but I've also seen them listed on several websites. Be prepared to wait, as they tend to be listed as "on backorder" frequently. If you like metal needles, these might be what you have been seeking. The needle/cable joins are smooth (one of mine is a bit rough, but I can live with it) - much smoother than Knit Picks needles. The needles are NOT inexpensive (like Knit Picks), so if cost is an issue, I would stick with Knit Picks. I give the addi Turbo Sock Rockets (16 inch length) a "thumbs up." Thank you, Skacel for listening to your customers. The same scene as last week's Foreign Friday but from a different perspective. In the last two weeks I received three Quilts of Valor (QOV) back from the volunteer machine quilters. Attaching the label and binding and hand-tacking the binding on the back is the last stage of the quilting process, and if I have something to occupy my mind, the handwork goes by quickly. While working on the latest bindings, I listened to another audiobook - Deeper Than The Dead by Tami Hoag. Currently, two of my recent QOV are at volunteer longarm quilter in Utah, and three more are in Montana. 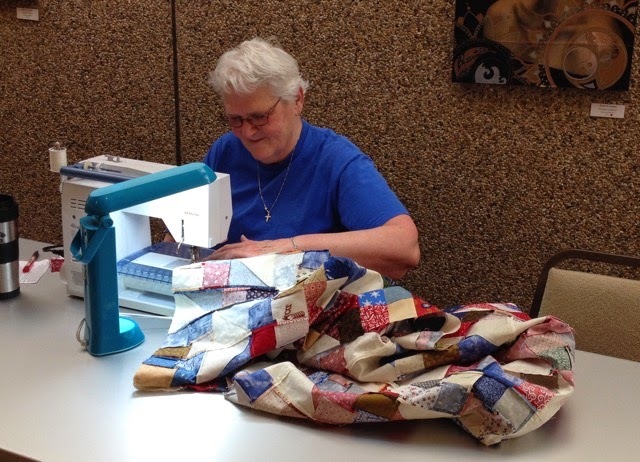 The quilts in Utah will be delayed more than usual since the quilter had an unexpected back surgery. I always enjoy seeing how the machine quilters add their personal touch to the quilts. 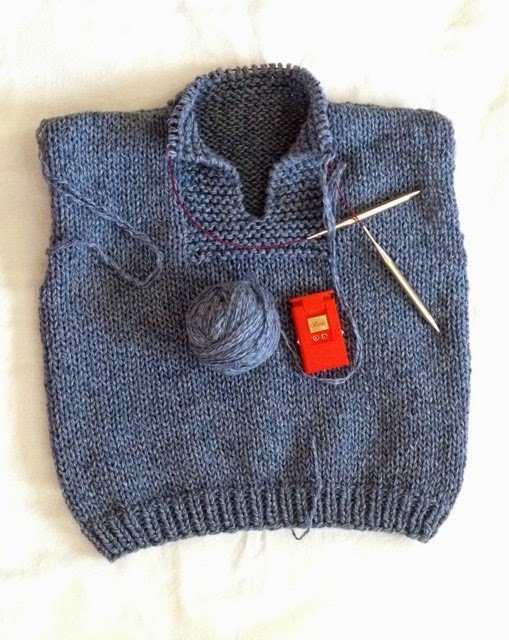 The yarn for this vest was reclaimed several years ago from a thrift shop sweater, and I have enough yarn remaining to knit another vest. 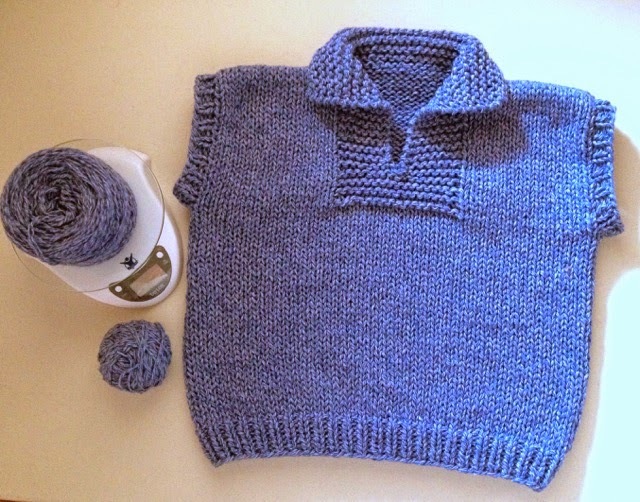 Have you ever reclaimed yarn from a previous garment? Saturday the Fiber Guild held its meeting in Ft. Washakie, WY, and after the meeting I took a side trip to the Washakie Cemetery where I hoped to find the grave of Sacajawea. The last time I visited the cemetery was probably in the 1960s. 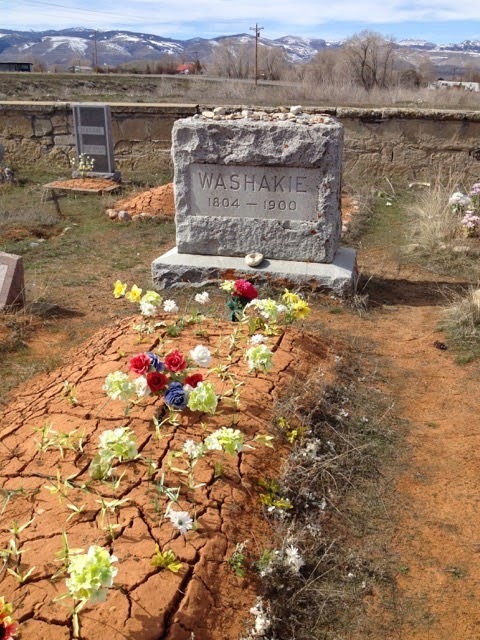 Unfortunately, I did not find her grave marker, but I did find that of Chief Washakie. 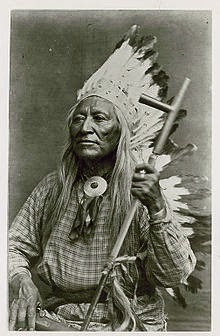 According to Wikipedia, Chief Washakie's prowess in battle, his efforts for peace, and his commitment to his people's welfare made him one of the most respected leaders in Native American history. In 1878 a U.S. army outpost located on the reservation was renamed Fort Washakie, which was the only U.S military outpost to be named after a Native American. Upon his death in 1900, he became the only known Native American to be given a full military funeral. 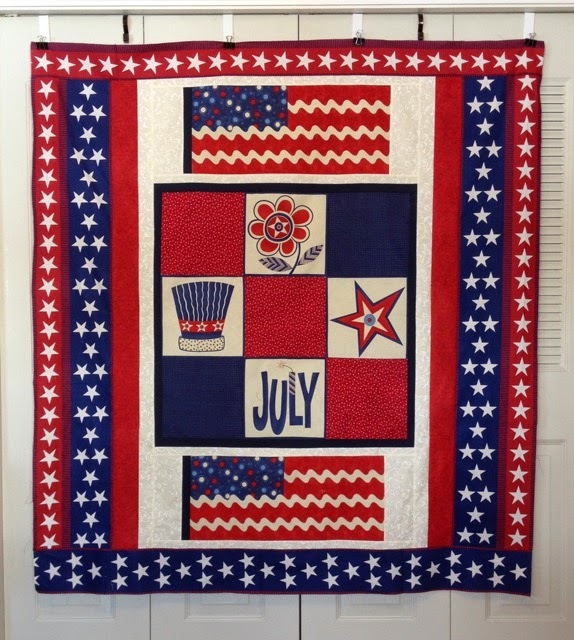 Last year, Karin (Lovin' Life at the End of the Dirt Road) shared that a quilt shop on the way to her Mother's home in Texas often had yardage on sale that would be ideal for QOV backings. She asked if I would be interested in some fabric the next time she stopped. Karin contacted me a few weeks ago with the news the shop was going out of business and the fabrics were significantly reduced. She asked if I was still interested. At first, I told her that I wasn't since Marilyn had just sent me some yardage. Yet, when Karin told me the cost of the fabric, it was a deal that I couldn't resist. See the fabric that Karin brought home in this blog post. Karin and I texted and emailed for several days, and I indicated the fabrics and the amounts that I wanted. I intended to send payment via PayPal, but Karin had other ideas: she wanted to donate the fabric to me for Quilts of Valor. I struggled with that for quite a while: it is hard for me to accept such a generous gift from someone I've never met in person. When nearly 40 yards of fabric arrived on my doorstep, I was overwhelmed by her generosity. Thank you so much, Karin! 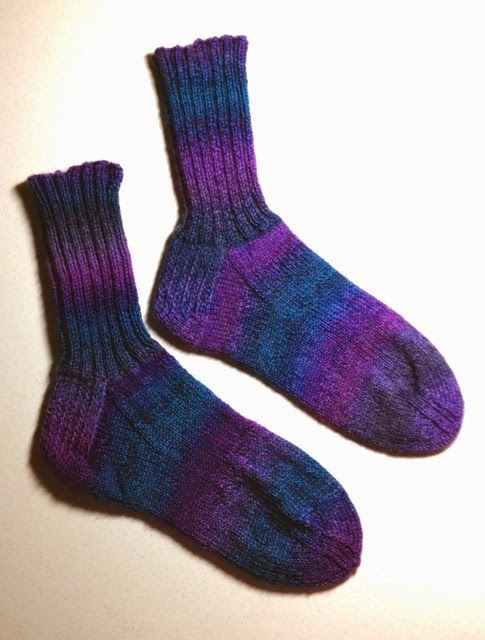 I offered to knit Karin a pair of socks for the fabric. 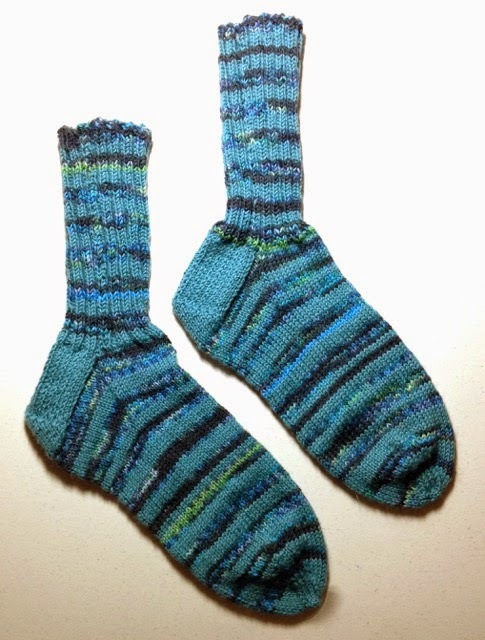 She shared her shoe size, and I began knitting. 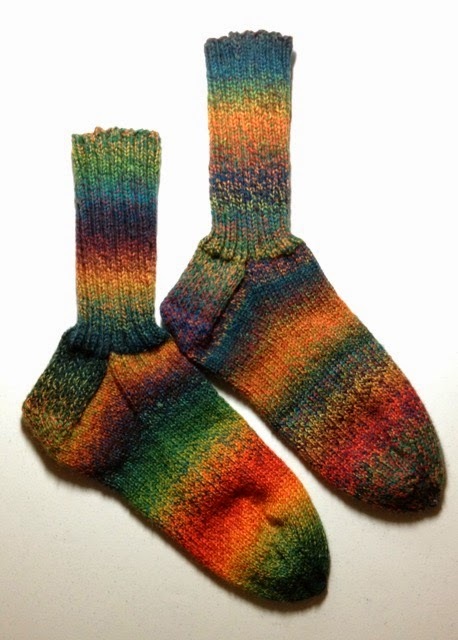 The temperatures in New Mexico are climbing now, and wool socks will not be useful until Fall and Winter. These humble socks are the only way I knew to show Karin how much I appreciate her gift and her friendship. I've "met" some wonderful ladies through my blog. Each one is a blessing, and I am delighted to call them "friends." 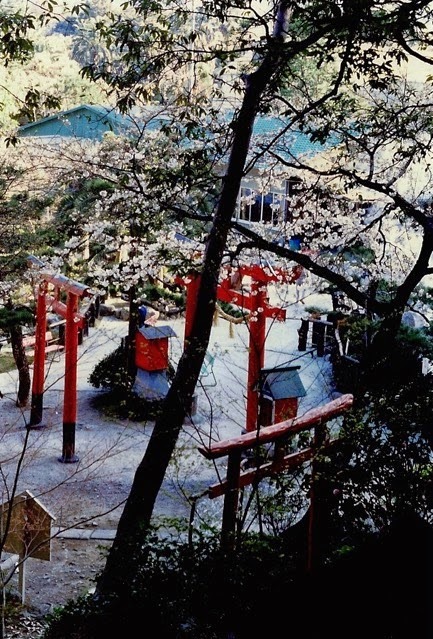 These torii gates were on the temple grounds of the Beppu Buddha, shown in a previous post. Food to feed the temple deer could be purchased from the red box in the lower right of the photo. 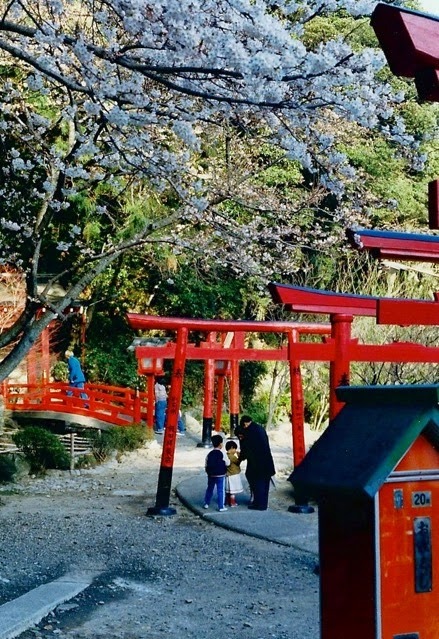 Torii gates were common on temple grounds as I explained in this previous post. Pepper was born about a mile from where he ultimately grew up - the offspring of my cousin Bob's dog. Pepper was the only long-haired pup in the litter. While we had several dogs on the farm over the years (Rover, Ring, Muffin, Cocoa, Penny, Red), Pepper's personality made him unique and very special; he was friendly and not the least bit aggressive although he would playfully nibble at clothing when he wanted attention. 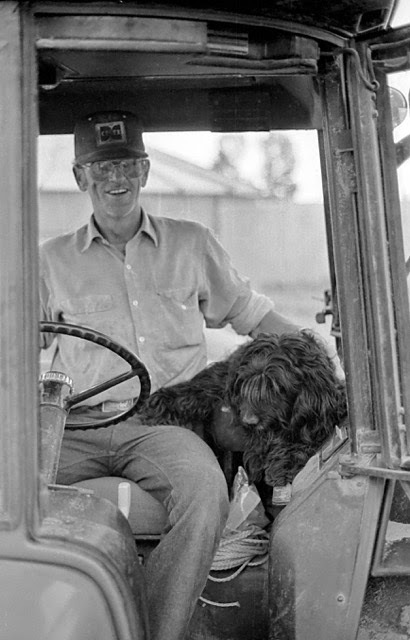 He rode in the cab of the tractor with my brother (photo above), on the seat in the truck and pickup and car, on the four-wheeler. Pepper would even attempt to talk if prompted. He had a lot of personality. One hot summer, my mother had Pepper groomed, and he looked handsome and completely different. 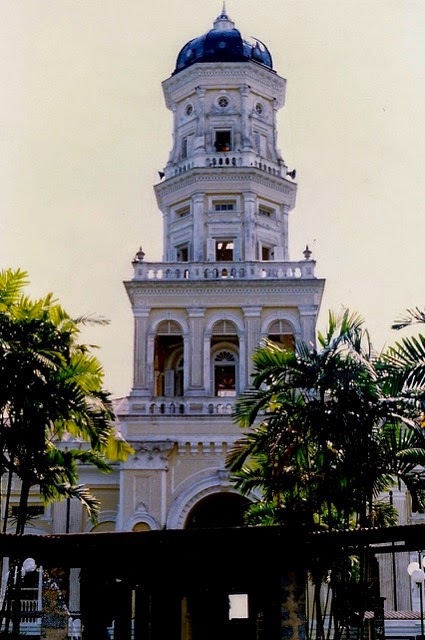 A photo can be seen on this previous post. 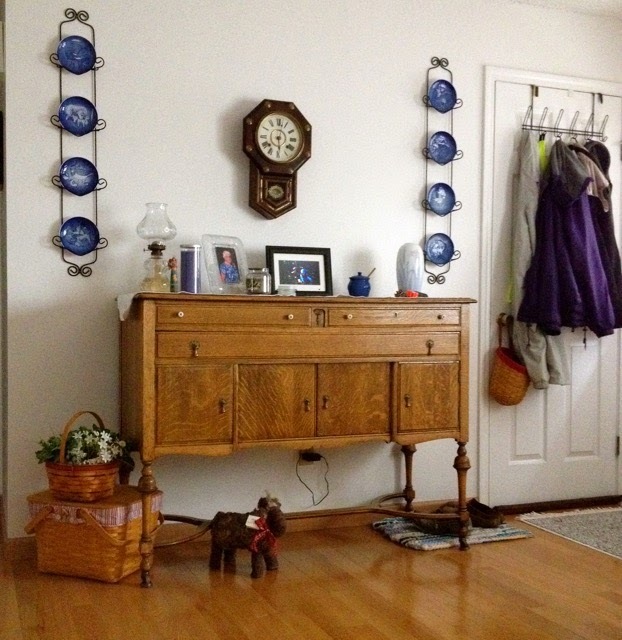 I have refinished several pieces of old furniture, but this oak buffet was probably my favorite one to refinish. The buffet was left by the previous owners in the basement of the house on Bighorn that Marilyn and Harold purchased in the mid-1960s. They moved the buffet to the farm where it was stored in an old trailer house until the early 1980s when I asked if I could have the piece. I spent many hours stripping the thick, dark finish off which allowed the beautiful oak grain to be revealed. Then I hand-rubbed many coats of tung oil over the surface until it gleamed. It was missing some hardware for the top drawers, so I replaced them with porcelain knobs. There should be a mirror across the back of the buffet, but it was missing, which is probably why the previous owners left it in the basement. The bottom section of the buffet houses the Noritake china that I purchased while in Japan, the long center drawer is where I store table linens, and the small top drawers hold stationery, batteries, and assorted junk. I love this piece but would love to know more of its history. Do you know the history behind the antique/vintage furniture that you treasure? Previously, I posted about my comments being rejected by most blogs and bouncing back to me. The situation continued to nag at me because I missed the interaction of the bloggers replying to my comments. I knew there had to be a solution. 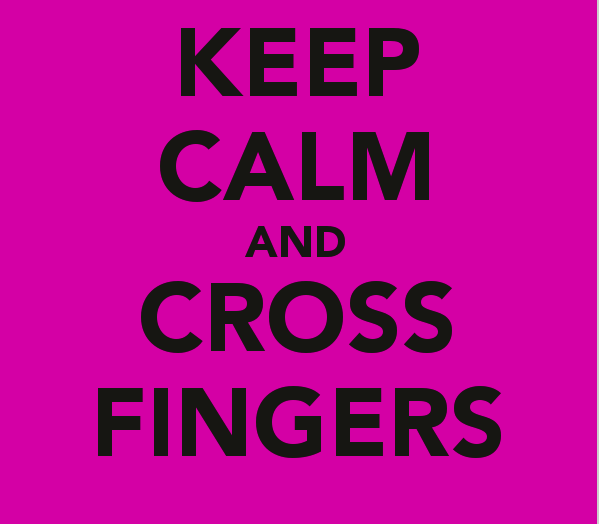 My fingers are crossed, but I think I've found a way around the bouncing. My "fix" has worked for nearly two weeks now, so I am optimistic. Several years ago, I was advised to create two blogger profiles and to allow both to have administrative capabilities, and now I now why. 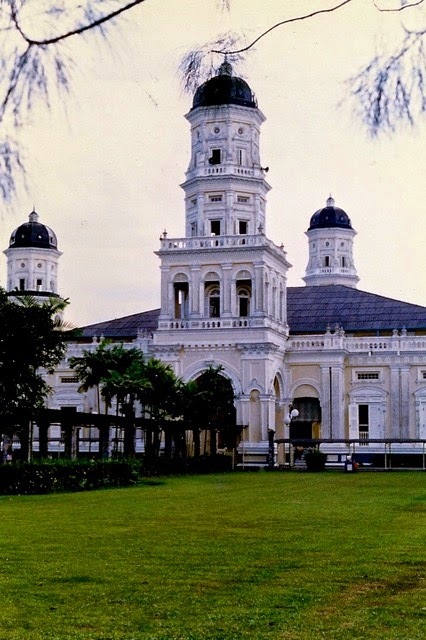 I used my Yahoo email account exclusively for my blog and for posting comments. It worked for nearly seven years. Then suddenly, it was not recognized for comments, and they began bouncing back to me. If you are experiencing the same issue, here is my solution. • even though both accounts are shown here as Administrators, the Tired Teacher account has NOT been activated yet. An email will be sent to this address and must be acknowledged in order for the account to be verified and activated. • the problem should now be fixed - just make sure that the account that is signed in is NOT the account that has been bouncing. 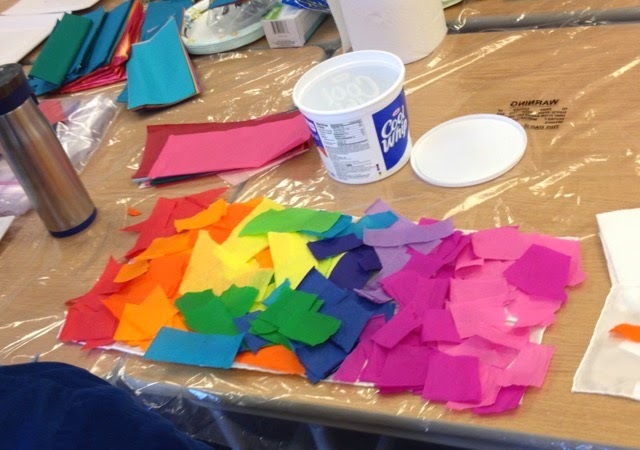 Did you know that silk can be dyed with tissue paper? 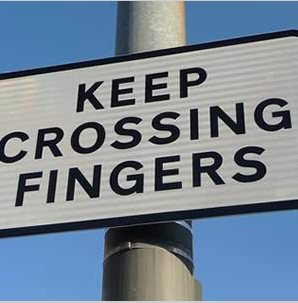 I didn't, but it can easily be done. 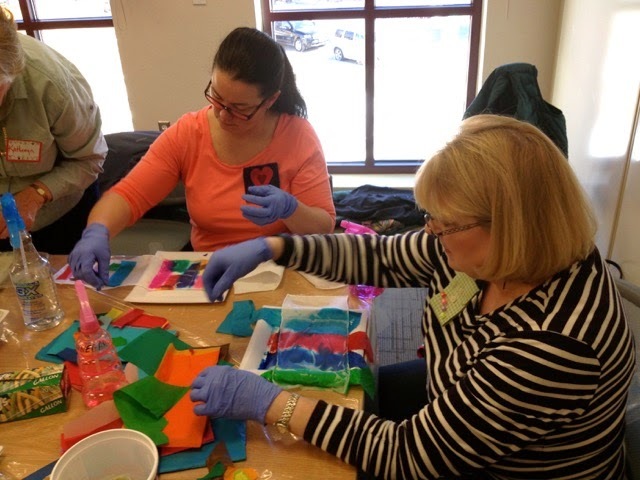 Last week, I joined the Lander Sew Sistas at the library for the fun activity. 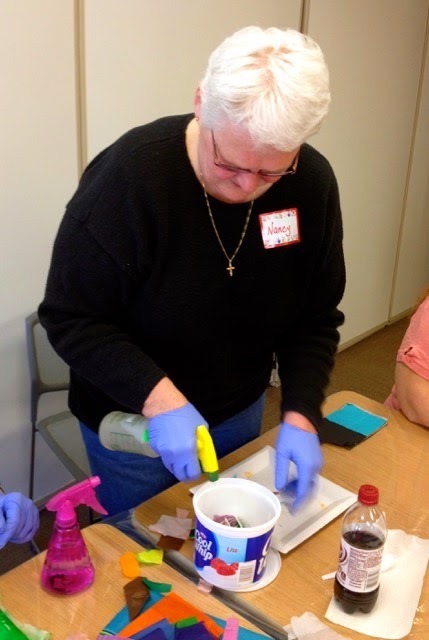 JoAnne brought the materials, and everyone else brought spray bottles, plastic bags, paper plates, vinegar, a take home container, and a creative nature. 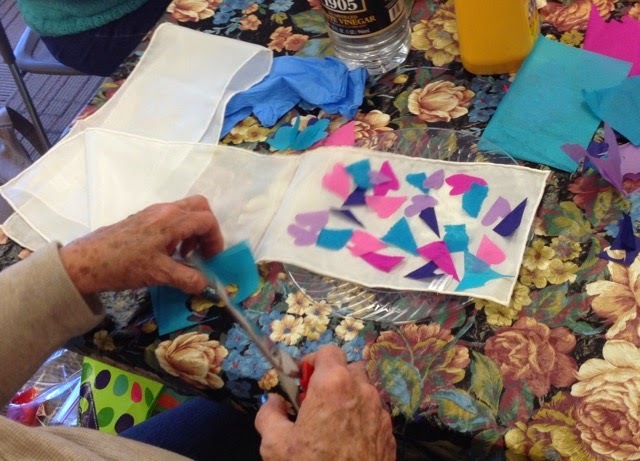 Tissue paper shapes prepared and place on the silk scarf. JoAnne explained the different techniques that could be used and distributed the supplies to the eager group. Some ladies planned and precisely placed the snippets of tissue paper; others haphazardly arranged the bits of color on the blank 6 x 24 inch silk scarves. I was in the haphazard group. I added more bits of color to one scarf and less to another, as I wanted to see the difference. After the bits of tissue were place on the scarf, they were sprayed with vinegar water, enough to saturate the paper and the scarf. The scarf was then crumpled or carefully folded and placed in the take home container (a bowl with a lid or a bag with a zip closure). We were instructed to saturate the scarf again if necessary and then keep the scarves covered until the next day. 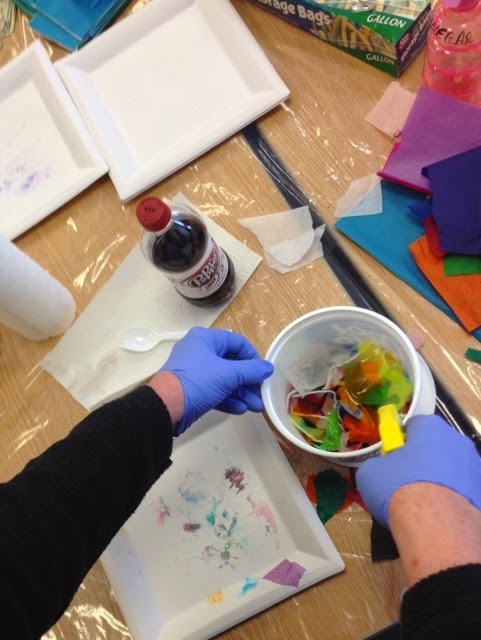 The following day, I removed the paper from the scarves (it was nearly clear at that point as the dye had been transferred to the silk) and then rinsed the scarves several times. JoAnne said we could toss the scarves in the dryer with a towel or iron (silk setting) to set the dye: I decided to iron my scarves. 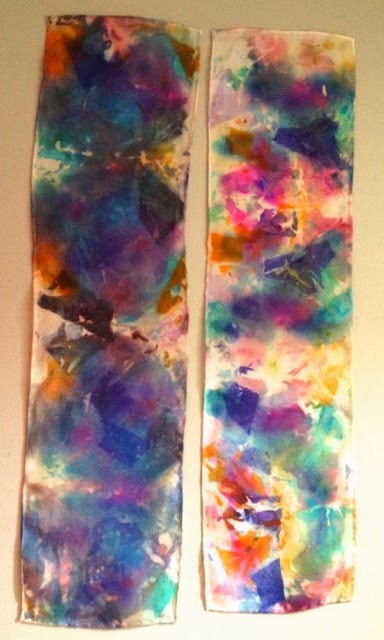 This was a fun activity, and I plan do it again with a longer scarf (8 x 54 inches) - one I will actually be able to use. Since it was cheaper to order in bulk, I'll ask my Tuesday night knitting buddies if they want to try this technique and create scarves of their own. 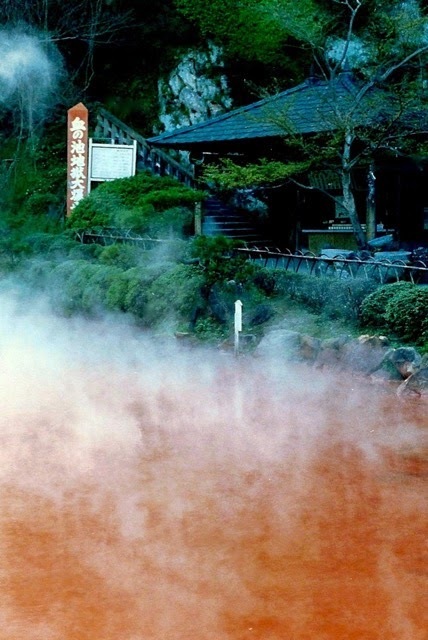 The red color of this onsen (hot springs) is from a large concentration of iron. While Beppu is an area with many bath houses, this pond was only for viewing. The abundance of steam and hot springs in this area reminded me of Thermopiles, WY and Yellowstone National Park, also in WY. Previous posts about Beppu can be seen here. 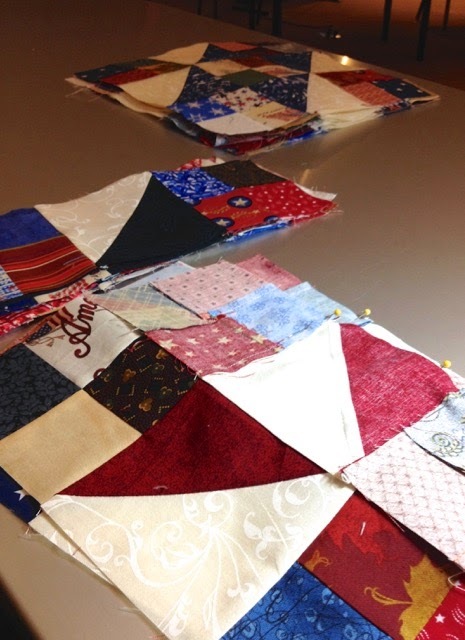 Mary recently shared a link to a fat-quarter friendly quilt, and I knew it would be perfect to use some larger scraps from previous Quilts of Valor. This 16 patch quilt was quick and easy to make and assemble. Sixteen Patch is Quilt of Valor #60. My goal is getting closer and closer. 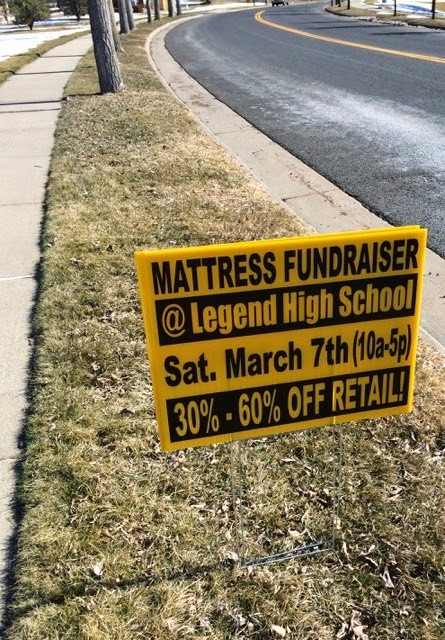 My niece snapped this photo on Saturday and asked if the schools in Wyoming raised money by selling mattresses. I haven't seen anything like this. Have you? In my 33 years of teaching, I organized many fund-raisers: bake sales, magazine sales, concessions stands, T-shirt sales, poster sales, car washes, candle sales, chocolate sales, etc. While the groups made money, we never found the pot of gold at the end of the rainbow. Perhaps, I should have tried mattresses. . . The multi-colored, plaid blocks were not pieced, but are printed on the fabric. They are remnants from the back of previous quilt. 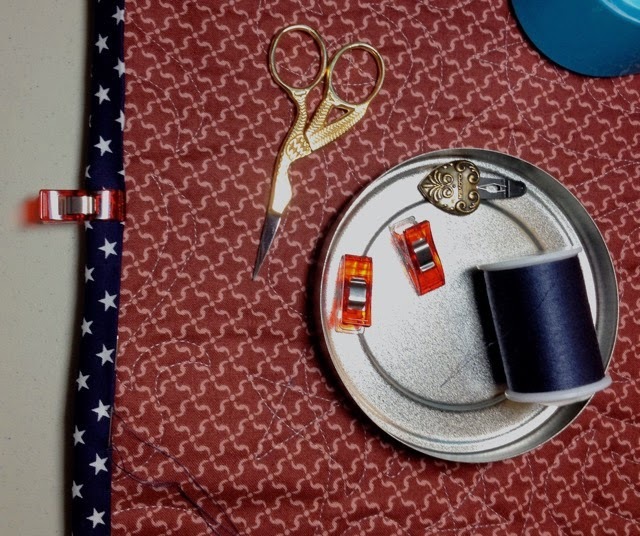 Several years ago, I purchased a yard of fabric that included the four center blocks and the two flags. 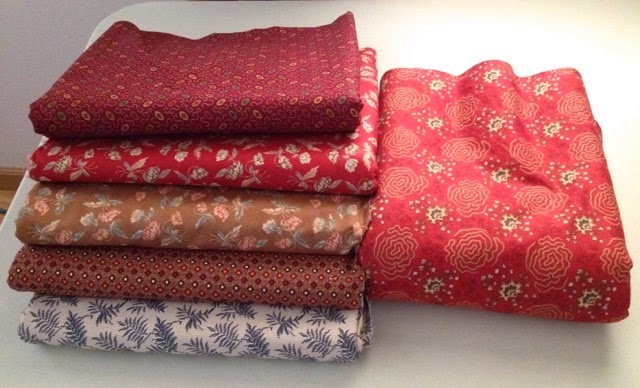 Nothing in my fabric stash matched or complemented the pieces, so they were shuffled from pile to pile and waited. After completing Rockets Red Glare and Celebrate Freedom, I wondered if the remaining starred fabric would work with the printed flags and blocks. The reds and blues were a close match, so I began working on Independence Day. 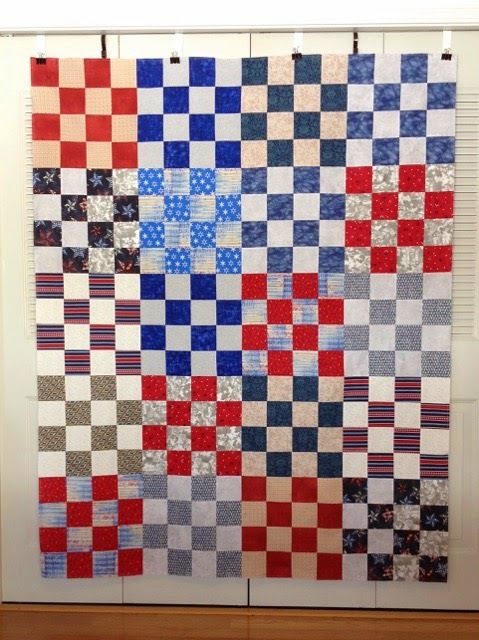 I had just enough starred fabric to complete this Quilt of Valor - #58.